Day 10. Halfway to Landfall! 1250 miles done, 1250 miles to go!! We are seriously in the middle of nowhere! Around April 28-29, we hope to catch our first sight of land: Ducie Atoll, an uninhabited island. Ducie Atoll is a low lying atoll encircling a lagoon, the easternmost island of the UK protectorate “Pitcairn Island Group”. 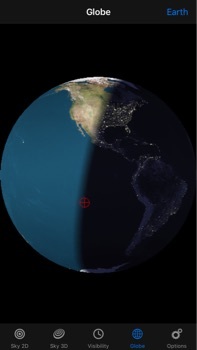 To the east about 1000nm is Easter Island, the only inhabited island towards South America. To the west about 300nm is Pitcairn Island itself, with population 50. Another 300nm after that to the west is Gambier, which is in French Polynesia. I sit in the cockpit at midnight of my 9-1pm shift. The boat is sailing beautifully in the 10knot breeze mostly from behind (130 degrees on port). The breeze curls around our cockpit windows, zipped shut during nighttime for the chill, and caresses the inside of our cockpit like an open air Balinese bungalow. Aldebaran’s wake gurgles with surprising volume, like a rhythmic fountain. At this speed, the boat pulsates and shudders from the waves like it might happily do so for eons. It’s almost bittersweet that this amazing passage is now on the second half… like this magical sail will come to an end too soon. Or perhaps we’ll reconsider by day 20 of eating cabbage, and we’ll be ready for a change ! Last 24hrs 126nm. Av Sp 5.1 kts. Max 9.5kts. ← Day 9. Possibly first ever Solar Array Installed mid Pacific! Happy half way point and then some. Kristian, you are a beautiful writer.